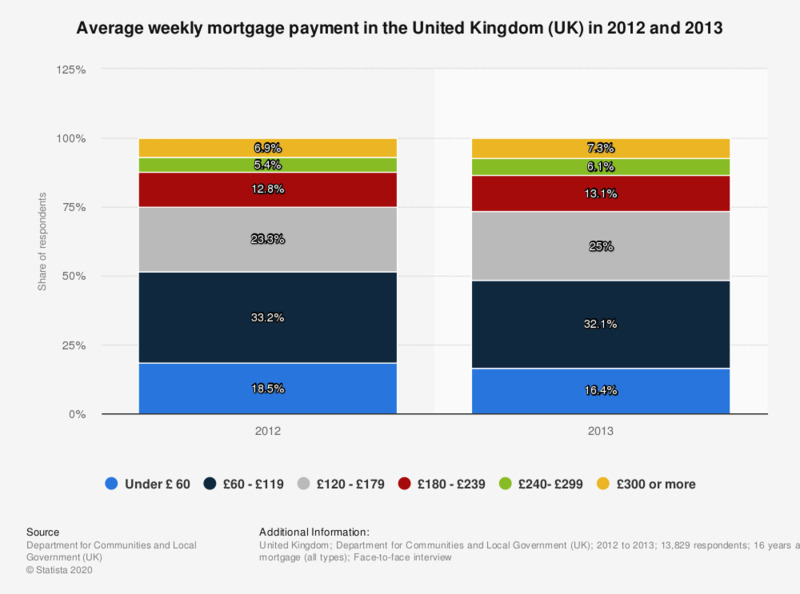 This statistic shows the average weekly mortgage payments made by house owners in the United Kingdom in 2012 and in 2013. In 2013, approximately 16.4 percent of households paid just under 60 British pounds in a weekly mortgage payment. Data for 2012 available in an earlier English Housing Survey report for 2011 to 2012, provided by the same source.